Hfs provides academic excellence in a conducive and islamic environment. Hfs provides highly experienced faculty and state of the art campus. 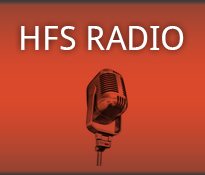 Hfs focuses on Critical thinking, Creativity, Collaboration and Communication. 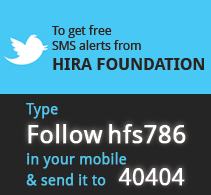 Hira Foundation School offers a unique blend of educational program with Islamic standards. In the conducive environment, Hfs is pleased to announce admissions in A level program for the academic year 2019 -2020. We are inviting registrations and queries from interested parents. We hope to make this as smooth a process for you as possible. * Fill the registration form below to fulfill the requirements. "Registerations for A level program are open now"
Fridays & Sundays will be off. In general, the profile of a strong candidate is a student who has A grades and 75% attendance in school from classes 9 – 11 and a history of scoring A*/A in O Levels. He or she is motivated, responsible, goal-oriented, mature, and community-minded. Application forms are available at Hira Foundation School admission office. Complete the form and submit it with all documents to the admission office. Four recent passport-sized colour photographs of applicant. Attested photocopies of certificates of applicant's O’ Levels already taken. A signed copy of the Standard Terms and Conditions of Hira Foundation School. Sealed teacher’s recommendation, preferably in applicant's elective subject or related pre-requisite(s). A sealed principal’s report, which applicant’s school may mail to HFS directly. Once HFS has processed applications, we hold an interview process in August (dates subject to change). If an applicant is selected for an interview, he / she will receive a call from the school. Whether or not they are called for an interview does not reflect on an applicant’s ultimate chance for admission to Hira Foundation School. Admission Offer Letter will be dispatched towards the end of August 2019 (dates subject to change).